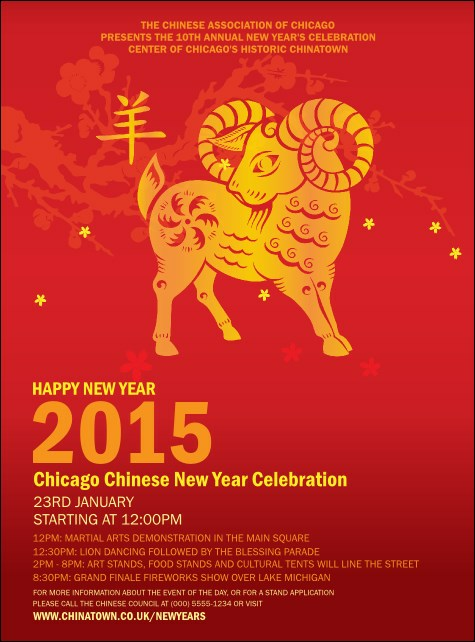 Promote luck in the new year when you post the Chinese New Year Goat Flyer in advance of your celebration. This gorgeous template has rich red, yellow, and orange tones with an image of a goat in the middle. Bring neighbors and family together for this joyous occasion with the right design! For every cultural celebration, find the right flyer at UK Ticket Printing.